The metamorphosis is clear. I am what I continually think. It all starts in the mind. If you can think it, you can do it. If you can do it, you can have it. Simple. In theory, perhaps, but there's more to it. Many people believe that happiness lies in what they have. The more they have, the better. The truth is that you don't really need to have anything in life. Life is not about material gain, possessions and wealth. Life is about who or what you are. Happiness comes from within. It's a state of mind. Unfortunately, selfishness is the greatest hindrance to attaining happiness. So by reaching out to others and moving away from the self, you can make a difference. If you choose to be happy, give your happiness to another person. If you choose to be sincere, give your sincerity to another person. If you choose to be despondent, give your despondency to another person. In the end, you are what you continually think. Your state of mind reproduces itself. Being happy or sad is a choice. It doesn't matter what your circumstances are in life, your mind has the power to cause an effect on your body. This means that negative thoughts will result in discomfort, stress and bad health while positive thoughts will result in comfort, relaxation and good health. 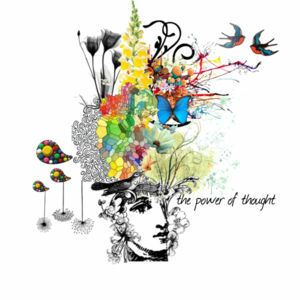 The power of thought is yours to control. For many years I have suffered bouts of depression and unhappiness. Today, I'm fighting the forces of negative thoughts. It requires effort and patience, but it works. It really does.